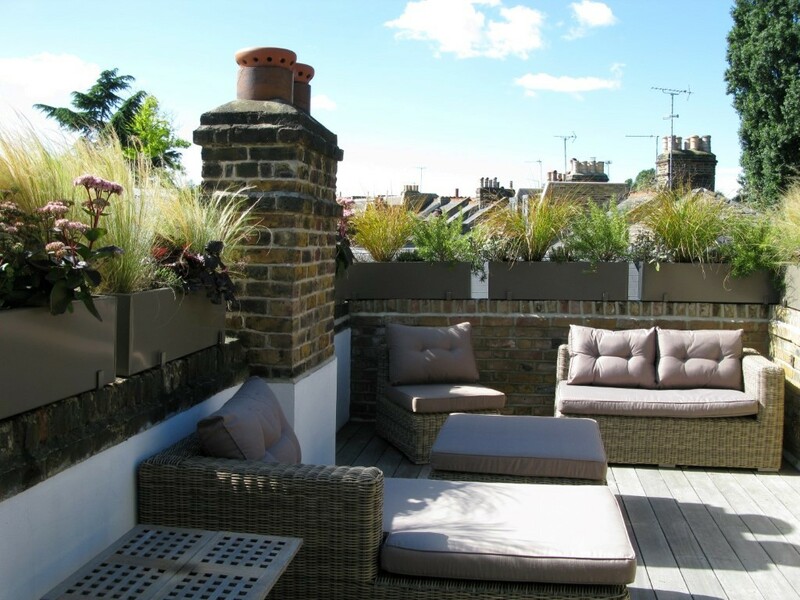 Contemporary roof terrace, rear terrace and traditional front garden designs, using bespoke planters and a mix of formal and informal planting. 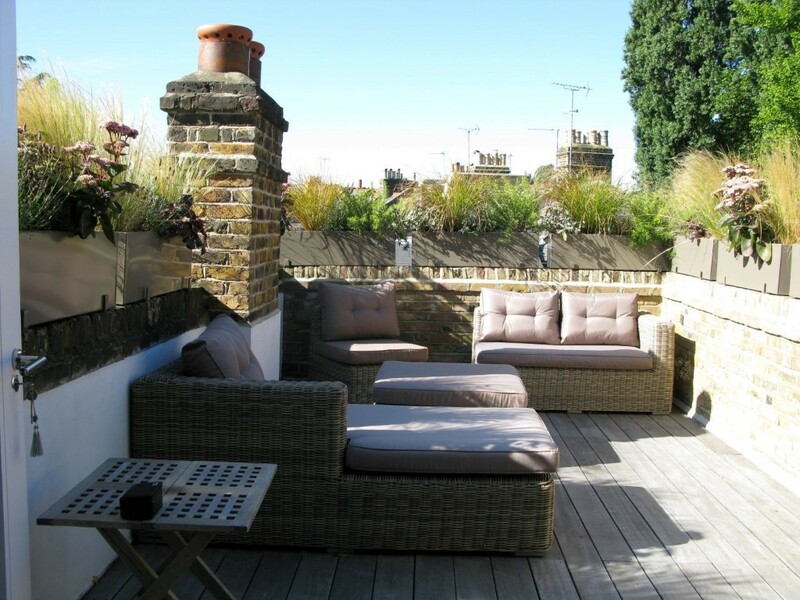 This Victorian house in Putney directly faces the River Thames, being next to the boat houses, so has stunning views of the river at the front, and wonderful vistas from the roof terrace which looks over both the river and the surrounding mature trees in the neighbouring park. Our client wanted to be able to ensure their views were kept but also wanted a haven of privacy. 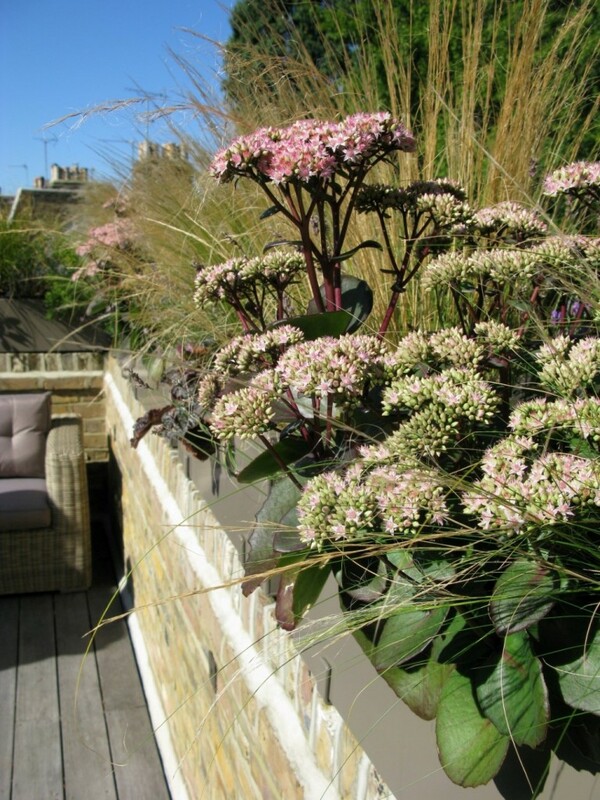 Drawing on the surrounding landscape, which dictated naturalistic planting, we created bespoke powder-coated steel planters (in a colour close to that of the teak decking), which we filled with purple Sedum, Lavender, aromatic herbs and Stipa tenuissima. These wonderful pale gold-green grasses are topped with plumes of silver-green seeds which create movement and are robust enough to flourish in more breezy conditions. They also provide the necessary height to block the view in from overlooking properties whilst preserving the wonderful vista. 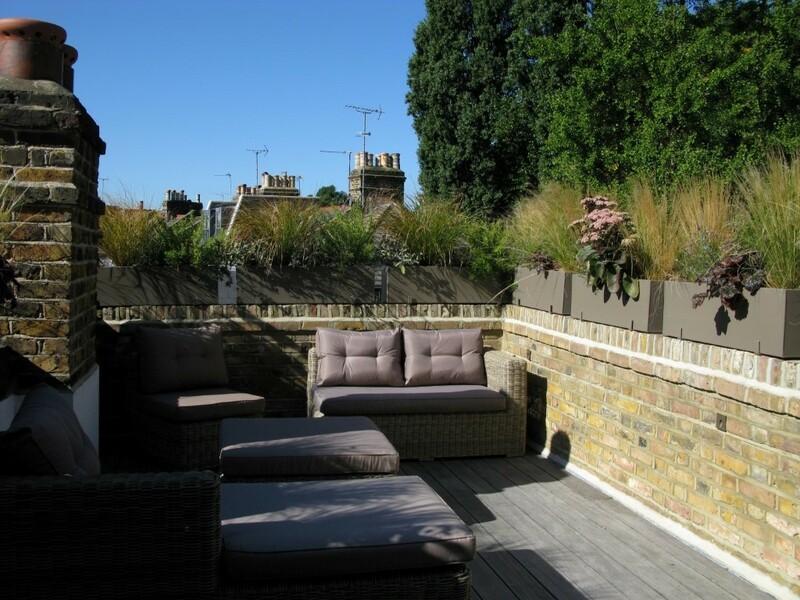 Large black planters were placed around the small terrace with standard bay trees, and the tops of the planters were finished with chipped slate to prevent weeds from seeding. 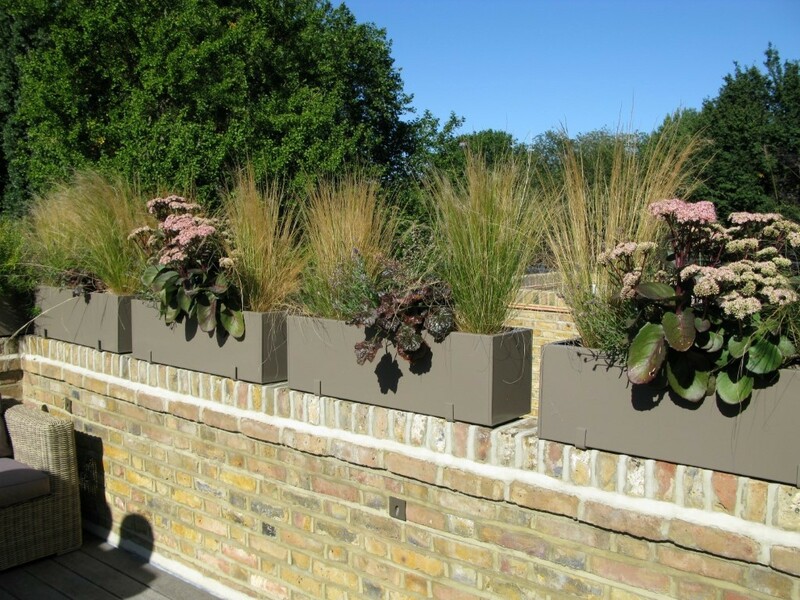 Evergreen grasses were planted in planters on top of a built-in storage area, giving additional movement and texture to the space. Our client had been given some Olive trees which she wanted to incorporate into the design, so these were planted in a bespoke powder-coated steel planter and under planted with fragrant Choysia. A classic design was achieved with three standard Iceberg Roses planted along the front garden with white Digitalis (Foxglove) and tall Buxus cones. The borders were then mulched with shredded bark to retain water and suppress weeds.